This class is for dogs 6 months and under. You and your dog will focus on socialization, learning basic commands and getting answers for common behavioral questions. This class is taught in a positive way and will help you feel more confident as a puppy leader. This class is for dogs 6 months and over that have not been through a basic level class. You and your dog can expect to learn basic commands, get answers on common behavioral questions and address the specific needs of teen-aged dogs. This class is taught in a positive way and will help you feel more calm and confident when leading your adult dog. This class is the second level in the series. A basic skill level is required. You will learn heel, and build on several other skills with intense distractions and distances. It is a fun & fast paced class with lots of games and time to practice. 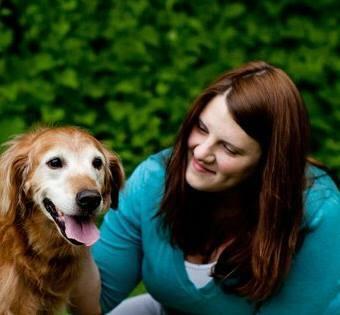 Heather has professionally trained dogs since 2006. She specializes in force-free & behavioral science based methods that provide consistent results. She has worked with thousands of dogs and believes that every dog has the potential to excel. By focusing on what your dog is doing right and improving communication, we know you can build stronger relationships with your dog. Group classes consist of a 5 week session. Each class is one hour long. The cost is $115.00 for the five weeks. Owners are required to attend - children are welcome! All pets must have age appropriate vaccines. Preregistration is required - call the store to reserve a space. **REFUNDS OR EXCHANGES ARE NOT AVAILABLE FOR TRAINING. YOU MAY POSTPONE UP TO ONE SESSION IF THERE IS AN EMERGENCY. Make up classes are not offered, so try to send a proxy if you need to miss a week. Call 612-879-0709 to speak to an employee or email Heather at prodigy.dog@gmail.com for more information. Join Heather for a play group designed exclusively for dogs 20 lbs or under! Pay $10.00 for your pooch to have the opportunity romp around our event space to make friends, use energy, and bark at things. It is a good time!